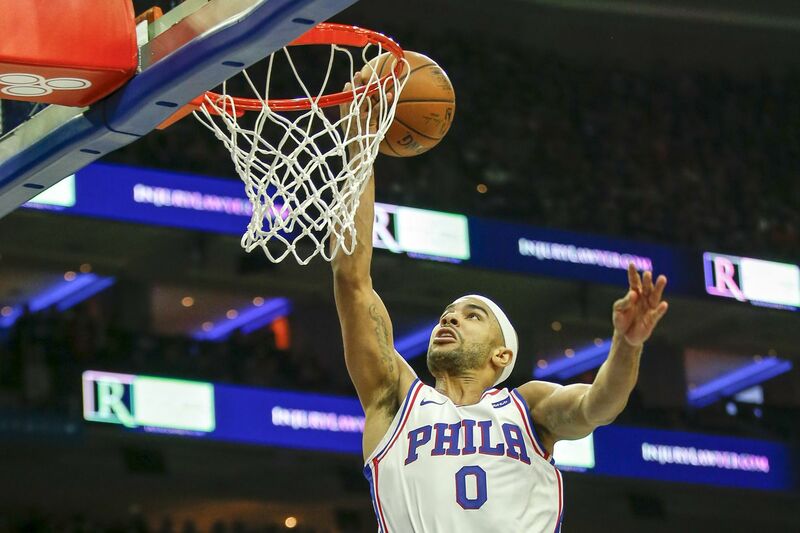 Will Jerryd Bayless be back with the Sixers? That's one of the decisions Brett Brown might have to make. The 76ers are still trying to make moves. They agreed to acquire Mike Muscala in a three-team trade on Thursday, multiple sources confirmed. However, sources told the Inquirer, the trade won't be completed in the coming days because the Sixers are working on another move. According to a league source, the team has had discussions about trading Jerryd Bayless to the Cleveland Cavaliers for Kyle Korver. That move would enable the Sixers to bring back a fan favorite who's one of the league's top three-point shooters. He would be an upgrade from former Sixer Marco Belinelli, who signed as a free agent with the San Antonio Spurs earlier this month. All this comes after the Sixers were unable to acquire LeBron James and Paul George in free agency or trade for Kawhi Leonard. The three-team trade also enabled them to get past the rejection by Nemanja Bjelica. Two days after the 6-foot-10 Serbian forward backed out of his free-agent commitment, the Sixers agreed to acquire Muscala, a backup post player from the Atlanta Hawks, in a deal that included the Oklahoma City Thunder. The Sixers will send swingman Justin Anderson to the Hawks and shooting guard Timothe Luwawu-Cabarrot to the Oklahoma City Thunder in the trade. That news was first reported by the Atlanta Journal-Constitution. One source said the trade could take up to 10 days to complete while the Sixers pursue another deal. It's no secret that the Sixers are looking to trade Bayless. They were trying to buy him out of his contract. The reserve combo guard is set to make $8.57 million in the last season of his contract. Bayless, 29, is not expected to play much — if at all — assuming he remains on the roster. It would be best for both sides if they parted ways. Korver, 37, will make $7.56 million this season. The swingman will have a salary of $7.5 million next year, but only $3.44 million is guaranteed. The Sixers bought the 51st overall pick (second round) of the 2003 NBA draft from New Jersey Nets to select Korver. He averaged 10.5 points and shot 40.9 percent in 337 games in Philadelphia before being traded to the Utah Jazz on Dec. 29, 2007. By acquiring Korver and Muscala, the Sixers would be attempting to replace Belinelli and Ersan Ilyasova, a sharpshooting post player who signed with the Milwaukee Bucks. The team could also be trying to expand the trade to involve more players and/or teams. Right now, there's a lot of flexibility for maneuvering salaries. Until the trade becomes official, the Sixers can explore different options without set salaries from Thursday's agreements. As part of the three-team deal, the Hawks will send Dennis Schroder to Oklahoma City in exchange for the Thunder's Carmelo Anthony, who will be bought out. Muscala was the 44th overall pick (second round) of the 2013 NBA draft out of Bucknell University. The 6-11 center is set to make $5 million in the final year of his contract. Muscala averaged 7.6 points, 4.3 rebounds, and 1.0 assist in 20 minutes while shooting 37.1 percent on three-pointers this past season. He had seven starts in his 53 appearances. The big man with shooting range has averaged 5.4 points and shot 37.8 percent on three-pointers during his five seasons in the league. Muscala shot a career-best 41.8 percent on three-pointers during the 2016-17 season. The Sixers parted with the No. 24 pick in the 2016 draft (Luwawu-Cabarrot) and the gritty defender (Anderson) they acquired in a Feb. 23, 2017 trade from the Dallas Mavericks for Nerlens Noel. The Sixers also acquired Andrew Bogut, a 2017 second-round pick, and a 2020 second-rounder in that deal. Anderson, a reserve swingman, had surgery on his left leg in June to deal with recurring shin splints. The injury sidelined him 21 games this past season. He averaged 6.2 points, 2.4 rebounds, and 13.7 minutes in 38 appearances. Luwawu-Cabarrot averaged 5.8 points, 1.4 rebounds, and 15.5 minutes in 52 appearances with seven starts this past season. He missed 15 games with right knee patellar tendinitis. The French player has averaged 6.1 points and shot 32.2 percent on three-pointers during his two seasons in the league.